Historically, gynecologic endoscopy began in the 1930s with the development of diagnostic laparoscopy, but today gynecologic endoscopy has become an essential part of gynecologic surgery. In present practice, the benefits of hysteroscopy have become safely entrenched behind undeniable facts, to the hospitals as well as the patients. Hysteroscopy can be regarded as the gold standard for the evaluation of the uterine cavity in cases of abnormal uterine bleeding, infertility, recurrent pregnancy loss, and suspected intrauterine out-growth. It can be performed in the office setting (outpatient hysteroscopy) or as a day-case procedure, under general anesthesia (inpatient hysteroscopy). Outpatient hysteroscopy has been shown to be as accurate as inpatient hysteroscopy, and it has the advantage of reduced anesthetic risks, enhanced time–cost effectiveness, and patient preference. The factors behind the success of outpatient hysteroscopy are instrument quality, characteristics of the distension medium, the ability and experience of the operators, and recent technical advances, such as the introduction of small-diameter rigid and flexible hysteroscopes. The future looks to further simplification of instrumentation and hence, high safety and accuracy and expedited performance. 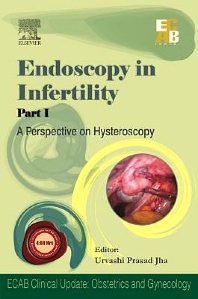 "Hysteroscopy in Infertility" has addressed the relevant issues with dexterity by substantiating with relevant clinical experiences of authors, who are among the pioneers in this field.